The Luftwaffeâ€™s Messerschmitt Bf109 single-seat fighter was the main combat adversary of the RAFâ€™s Hurricane and Spitfire fighters in the Battle of Britain. It could climb and dive faster than the RAF fighters and its competitive edge in combat was helped by its direct injection fuel system. It also had the edge on both the Spitfire and Hurricane when it came to the punch delivered by its array of machine guns and shell-firing cannon. Its formidable performance and potent armament made the Bf109, arguably, the best fighter of the Battle. 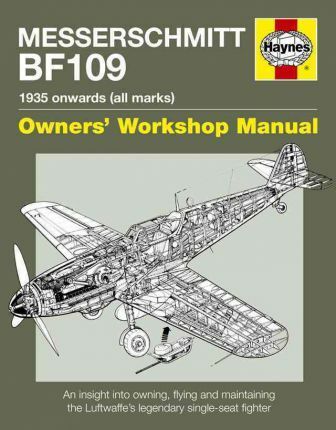 This book covers the history of the â€˜109, restoration to flight, the views of owners, pilots and engineers, operating and servicing. There are data boxes covering a wealth of â€˜109 facts and figures, and interviews with owners and pilots (both WW2 Luftwaffe pilots and modern day owner-pilots). Photographs and illustrations are drawn from a variety of sources, including Luftwaffe official wartime manuals, official and private archives, restoration projects in the UK and overseas.